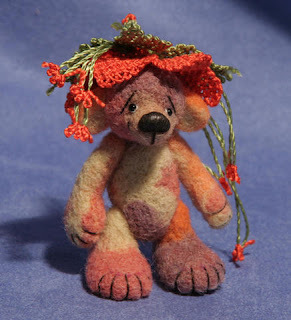 The art of thread and fiber bear making has been around for many years. In the last 4 years it has really come to the forefront of the bear world. The threadanimal yahoo group has been partially responsible for this upsurge in interest in and enthusiam for thread and fiber animals. The threadanimal group started with around 50 members who were very engaged in elevating the art form and their own abilities through challenges, swaps, and contests. 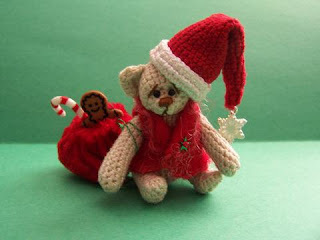 The picture above was a sample of two artists work (marylou of meribears and deBBie of debbittybears). 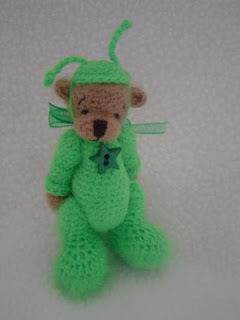 Since that time the group has grown to over 1000 members who have an interest in these little thread creatures. The yahoo group can be found at www.groups.yahoo.com/group/threadanimals. The year 2007 was very exciting. Here is a sample of some of the things we worked on. Martin the Martian here was made by Stephanie of TheTinyToyBox for our "Things that go bump in the night" swap. 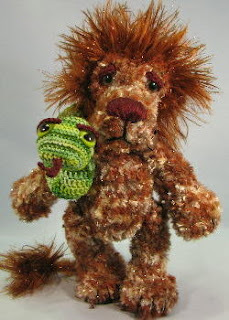 Two of our Moderators Berta of http://www.threadteds.com/ and Bobbie of http://www.beyondbasicbears.com/ also offered a free needlefelting and crochet workshop. 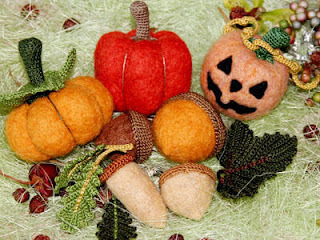 The steps for making pumpkins and acorns as well as their crocheted caps and leaves were given step by step. 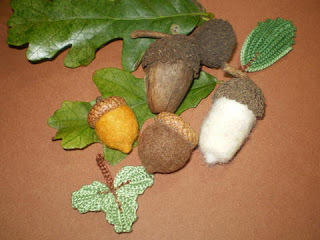 Donna A. of Brandon Bears did the acorns below from the workshop. This is just a sampling of the many fun things we did as a group. Currently we are doing sign ups for a Valentines Day Exchange. We also have a yahoo group where members list the items they have for sale on ebay or elsewhere. 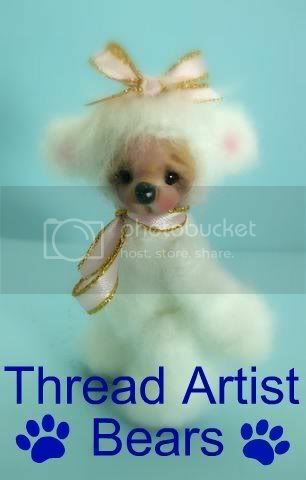 It can be viewed at www.groups.yahoo.com/group/threadartistbears. 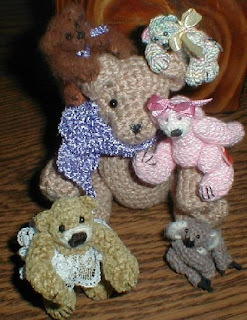 If you are a member of threadanimals already and have a suggestion for the blog, please contact deBBie, Donna, Bobbie, Berta, or Beverley through the yahoo group. 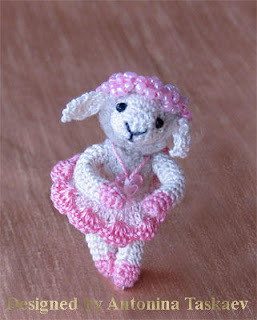 If you are interested in making threadanimals or are an artist looking for a fun free group, please join us at www.groups.yahoo.com/group/threadanimals. made by Heather Hamilton of hugables.